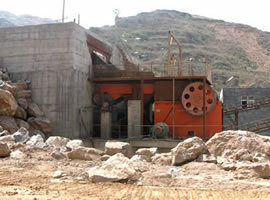 Jaw crusher has many years of production history and has wide application areas in a variety of industries. Because of the continuous application, jaw stone crusher has to keep on innovating and progressing. The new-type PE jaw stone crusher is of outstanding performance and has been extensively applied to producing high-level stone materials for highway, water conservancy, electric power, artificial sand-making, stone reduction, construction industry and so on. 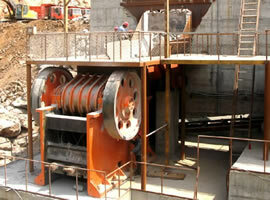 In fact, jaw crusher also has a long history in concrete processing. Concrete has access to a wide range of raw materials, with low price, simple production press, strong compression strength, excellent durability and high strength grade. All these properties make it widely used. It not only has a variety of applications in civil engineering, but also acts as an important material in machinery, shipbuilding, ocean development, geothermal engineering and other fields. When it comes to jaw crusher's wide usage in concrete industry, the new type of PE jaw crusher machinery is featured by adjustable particle size, simplified crushing process, big crushing ratio, high crushing efficiency, energy conservation and good particle shape. It is suitable for crushing all kinds of hard rocks and can selectively break materials. Therefore, the new-type PE jaw stone crusher is deeply favored by customers by virtue of its outstanding advantages. As an experienced crusher manufacturer, Fote Machinery is specialized in making good-quality crushing machines with complete models and specifications. The new-type PE jaw crusher is the first choice for primary crushing. It is widely used in numerous fields of mining, metallurgy, smelting, building materials, highway, railway, water conservancy and chemical industry, etc. Our company also focuses on producing large and medium-sized jaw crusher machines with excellent performance. Welcome your consultation and field trip!